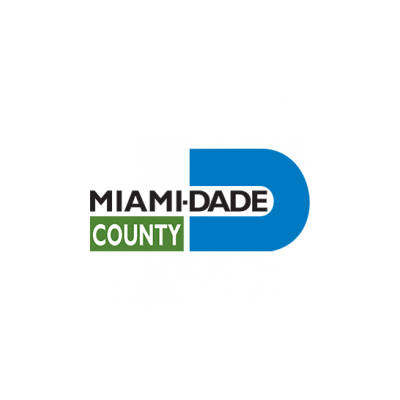 Participating Agencies: Miami Dade County Park, Recreation and Open Spaces Department; University of Miami Miller School of Science; Baptist Hospital of Miami; University of Miami Health System. Fit2Play® for Families: Parks Rx 4Health is a health prescription program developed by the Miami-Dade County Parks, Recreation and Open Spaces Department (MDCPROS). Fit2Play® Parks Rx 4Health can be a treatment alternative for overweight, obese or physically inactive youth and adults or a prevention tool for patients beginning to exhibit or make unhealthy lifestyle choices, or for those challenged with maintaining a healthy weight. Parks Rx 4Health (Children) is a prescription program for children between the ages of 6 and 14. After an office consultation with the child and parent the pediatrician will refer the patient that is overweight, obese or physically inactive to register for a MDCPROS Fit2Play® Afterschool Program. Fit2Play® Afterschool is an evidenced-based afterschool program developed in partnership with the University of Miami’s Miller School of Medicine. The afterschool program curriculum consists of 45 minutes of daily physical activity; nutrition education lessons; recreation games and time for homework. Parks Rx 4Health (Adults) is a prescription program for adults. After an initial consultation with a physician, the patient who is overweight, obese or physically inactive will be referred to register for, and participate in a low impact recreation program at a convenient park location that might include: Walk for Life, Enhance Fitness, Yoga, Zumba, and Tai Chi. Daily program participation, physical performance results and biometric measures will be collected and tracked for all participants by qualified MDCPROS Health and Wellness Specialists. Doctors with the University of Miami’s Miller School of Medicine will evaluate the data collected and provide an analysis for both children and adult patients. Findings will inform patients of treatment progress and will guide future planning decisions regarding program content. The design and development of park programs within Miami-Dade County are guided by the goals and principles of the Parks and Open Space System Master Plan and the Recreation Program Plan that include the pillars of Placemaking; Health and Wellness; and Environmental Conservation. The Department will provide free Fit2Play® Afterschool program tuition for one calendar year for fifty (50) children between the age of 6-14 as prescribed by doctors at both the University of Miami and West Kendall Baptist. The Department will also provide free active recreation programs for fifty (50) adult patients as prescribed by physicians at West Kendall Baptist Hospital for one year during the pilot program.